If you are new to blogging then for sure you would be getting lots of requests to provide dofollow or no follow links. 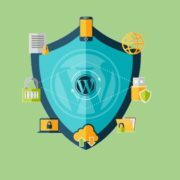 Basically, digital marketers, those are into link building process for their clients are keep seeking for different websites to get dofollow links to increase the domain authority. 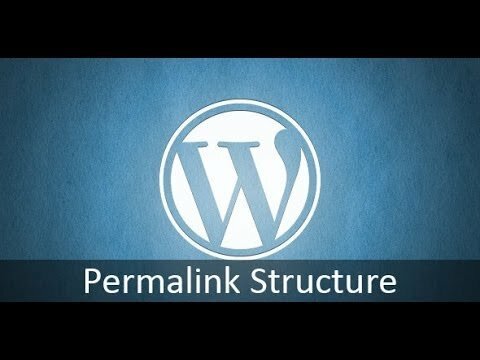 Other than this many times we also have to give some backlink to post or articles we are writing to make them more informative. However, before doing such, we should keep in mind that whether the link we are going to insert in the article is worth for dofollow or nofollow. The SEO world keeps exaggerating on the Dofollow and Nofollow links topic. So, what exactly are they? The Dofollow link means a link present on your website or any other that passes the SEO juice of the website to other website’s page you linked. Which indirectly help the other website to boost its ranking in the SERP (search engine results page) like Google’s. All the dofollow links are crawled by the Search engines to know the other important web pages. 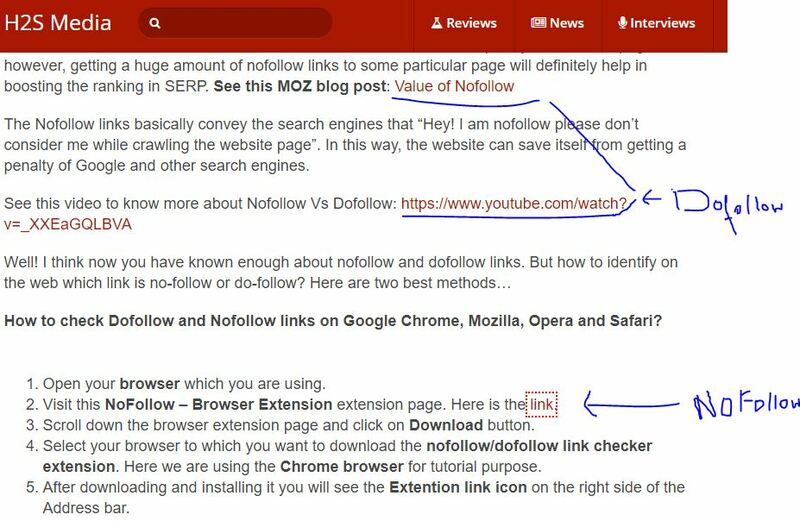 How to check Dofollow and Nofollow links on Google Chrome, Mozilla, Opera and Safari? Open your browser which you are using. Visit this NoFollow – Browser Extension extension page. Here is the link. Scroll down the browser extension page and click on Download button. Select your browser to which you want to download the nofollow/dofollow link checker extension. Here we are using the Chrome browser for tutorial purpose. After downloading and installing it you will see the Extention link icon on the right side of the Address bar. Right-click the extension icon and select the Option. 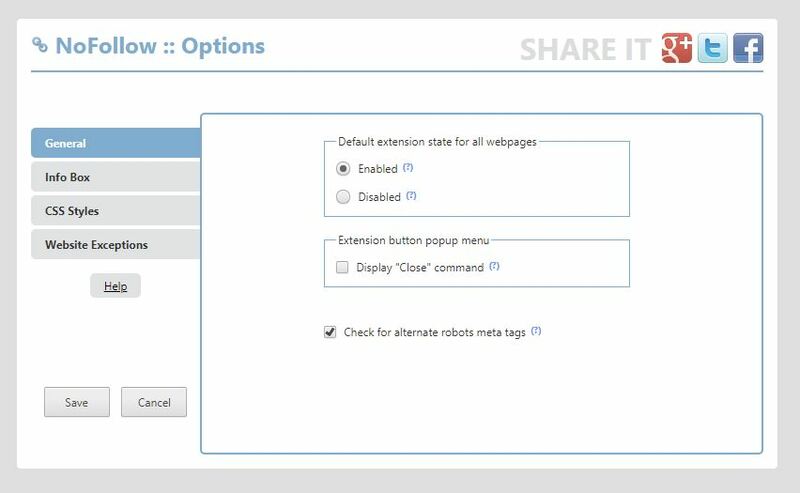 Under the Nofollow extension, you will see an option “Default extension state for all webpages“. Enable that. Click on the SAVE button given on the left side. Now onwards all the nofollow links on your browser of any website will appear or surrounded with Ant dots in Red colour. While the dofollow links will be as it is without any kind of changes. Step 1: When you visit the nofollow or dofollow checker browser extension download page something like shown below will appear. 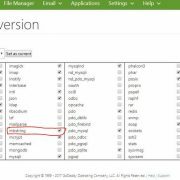 You have to click on Download button given on IgorWare Applications and Extension‘s page. Step 2: After downloading the extension, click on that and it will automatically get installed for your respective browser. 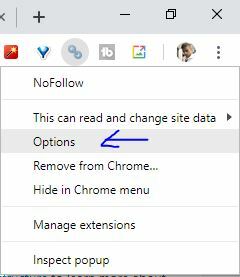 Once it installed, go to the browser’s address bar on the right top side, you will find the Nofollow extension icon (the placement of extension’s icon would be different browser to browser). 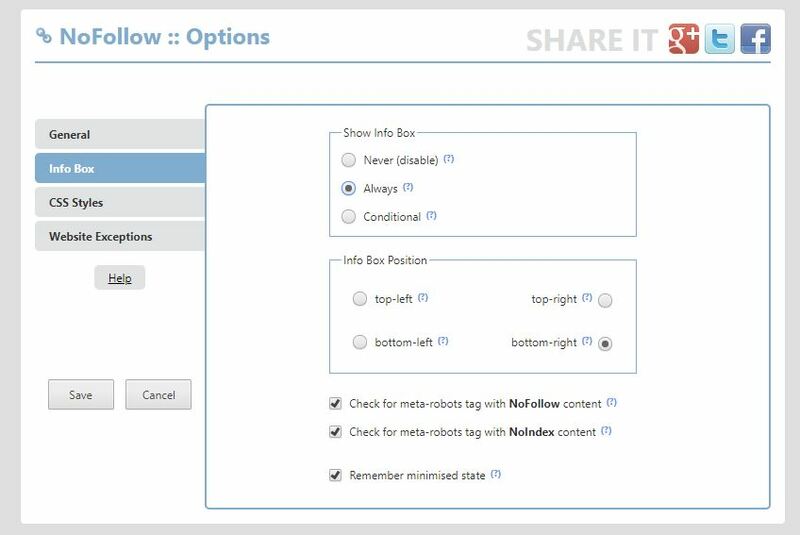 Click on that icon and select the Options. Step 3: I am assuming that you will have opened the Nofollow:: Options page. Here we need to allow the extension to identify each and every web page’s nofollow or dofollow tags. Enabled it by clicking on the radio or circle box and then on SAVE button has given on the left side. Step 4: Now visit any web page and you will see the ant-dots around the nofollow links. And normal links those are do-follow will appear as same without any changes as you can see in the below screenshot which of this article. Step 5: Another option which is a useful present in this extension is InfoBox. if we enable the Show infoBox, then we will get a Nofollow extension icon on the right below side of the web browser. 1. Open the webpage where you want to check the nofollow link. 2. 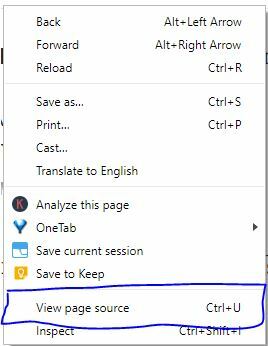 Right click on the page and select the option View source page (CTRL+U shortcut). 4. Type the few words of URL you want that tag you want to find out. 5. 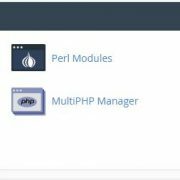 And if the link marked with a no-follow tag then in the rel=”noopener nofollow noreferrer” you find the same. If you don’t find this tag then it means that link is a dofollow link. In this way, we can find about these two links throughout the website on both offline and online pages.